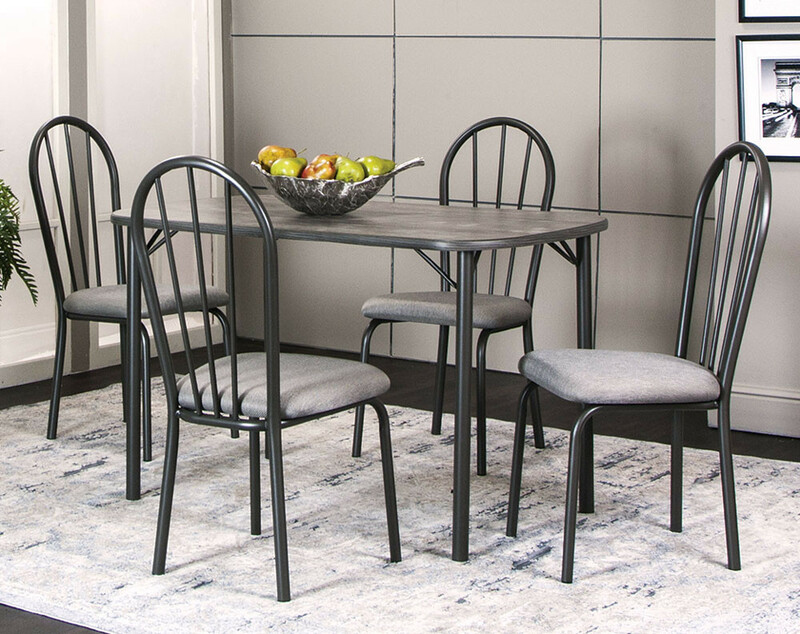 Modern and classic dinette set elements have made quite the collaboration in the Timber Gray 5 Piece Dinette Set. The standard height dining table set sits four comfortably. 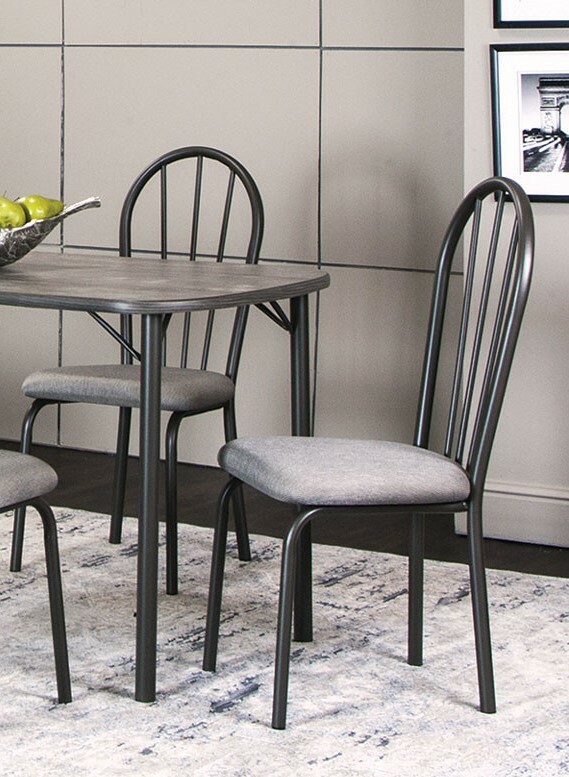 The table legs, chair legs, and chair backs feature a simple gray metal. The light cushions are firm and comfortable. The faux wood table top ties dark brown, light brown, cream, and gray hues together—which makes it super easy to match any kitchen design. One of the best features of this dinette is its compact, rectangular design. If you have a tight eat-in kitchen, push one of the ends against a wall to create a spacious setting for two. If you have space, let the table float in the corner of your kitchen. You can also push one of the short ends against a wall to flow well in a narrow kitchen or dining room. Elevate the design of this modern dinette set with a few simple accessories. We love to pair the table and chairs with a funky area rug. It doesn’t matter if you opt for a bold pattern or bright color for your rug, this set is sure to look great with almost everything. If you’re not very daring, choose a solid cream, brown, or charcoal rug with a soft texture. Next, be sure to choose a centerpiece. For traditional dining spaces, you have lots of options. Add a small narrow vase of flowers to dress up the dining area. Place a bowl of fresh apples or pears in the middle. It doubles as food storage and decor! 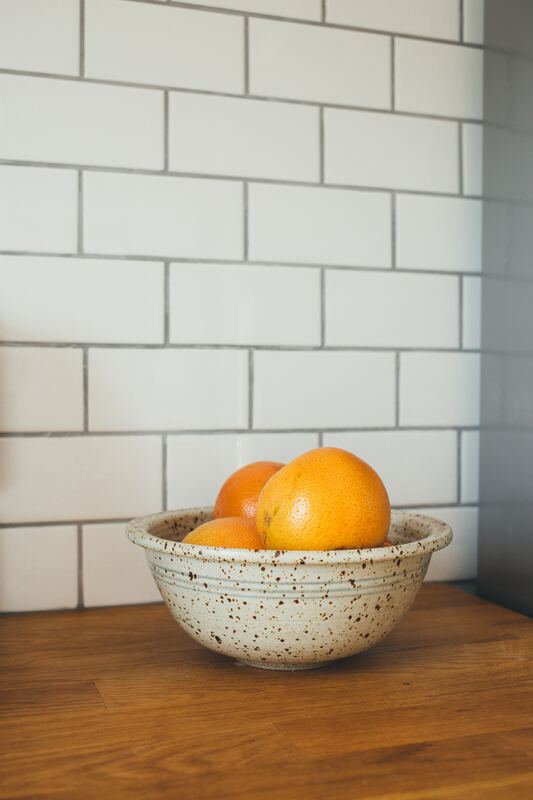 We also love matching salt and pepper shakers for a simple look. Blends well with black and stainless steel appliances. Looks sharp with wood, metal, or tile textures. Adds cool earth tones to the room. Best of all, you can use an array of different shades of gray to add dimension to your kitchen design. The Timber Gray Dinette has charcoal and light gray throughout the metal framework, cushions, and tabletop. Do you not care to dine on this dinette? It also makes an incredible workspace or craft table. Stage the Timber Gray 5 Piece Dinette Set in a playroom, office, or spare bedroom. This table is a great surface for painting, drawing, writing, or constructing almost any project. See the 5 piece table set for yourself! Visit your local American Freight Furniture and Mattress today. 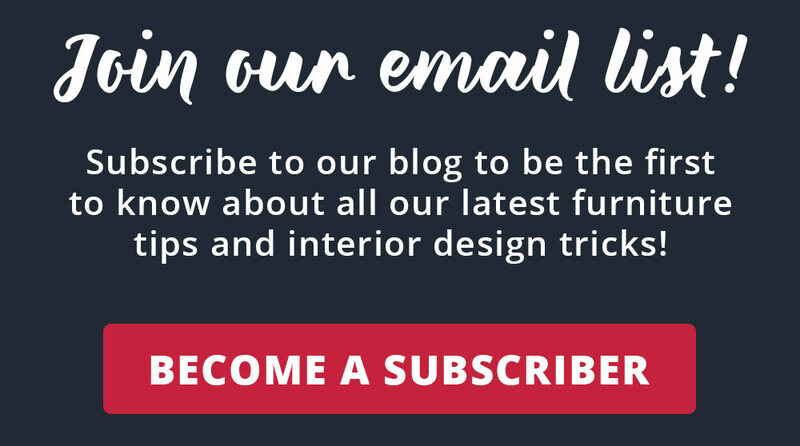 Did you know American Freight Furniture and Mattress offers same-day delivery for all in-stock items? Stop in today to try the Timber Gray 5 Piece Dinette Set before you buy it. We also offer financing options and low, easy payments. Click here to find a store nearest you. Next PostHuge Furniture Savings This Labor Day!